145 +/- Acres which includes the site of the historic, underground Idaho Maryland Gold Mine. The land is configured in 18 Assessor parcels. 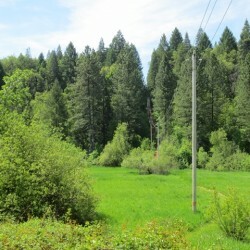 109 +/- Acres of the offering are contiguous with the City limits of Grass Valley. 2750+/- Acres of mineral rights mostly contiguous below 200’ of surface. An extensive collection of core samples from the Idaho Maryland Mine is included. Define the future or reclaim the past on these 145 acres configured in 18 Assessor parcels located in California's Gold Country. Approximately 109 acres of the offering are contiguous within Grass Valley City Limits and adjacent to industrial, business park and residential uses. Close to State Highway 49, bounded by city streets or major thoroughfares, the parcels have varying topography, meadows, gorgeous tree cover, outstanding southern exposure and Wolf Creek running through. This land is home to the historic, highly productive Idaho Maryland Gold Mine. The listing includes approximately 2750 acres of mineral rights plus an extensive collection of Idaho Maryland core samples . Previous efforts to re-open the mine produced a 43-101 Technical Reports evidencing strong gold reserves, a Draft EIR (2008), a Phase 1 Environmental (2007) and Assays, all available upon request. The Idaho-Maryland project is a structurally controlled, mesothermal gold deposit situated in the northern portion of the Sierra Nevada Foothills Gold Belt. This belt averages 50 miles in width and extends for 320 miles in a north-northwest orientation along the western slope of the Sierra Nevada range. assemblage of the Spring Hill Tectonic Mélange; later Jurassic Tectonic Mélange of the Weimar Fault Zone; and late Jurassic dioritic intrusives. The most important of these units for gold exploration is the Spring Hill Tectonic mélange. The varying styles of mineralization present at the Idaho-Maryland Project are typical of those commonly found in mesothermal lode gold deposits worldwide. At least four basic types of mineralization have been recognized to contain significant gold deposits. In order of importance, these include (1) gold-quartz veins, (2) mineralized black slate bodies, (3) mineralized diabasic slabs, and (4) altered, mineralized ultramafic schists. The veins consist primarily of quartz, which is milky white, massive to banded, sheared, and brecciated. Gold occurs as native gold, ranging from very fine grains within the quartz to leaves or sheets along fractures. The Idaho-Maryland Mine property is located in Grass Valley; California, in the historic “Northern Mines District” which is one of the most famous and productive mining districts in California. The principal mines in the area include the Empire, Idaho-Maryland, North Star, Pennsylvania and W.Y.O.D. mines. The original claim on the Idaho-Maryland Mine Property was staked in 1851 and high-grade gold mineralization was discovered in 1863. The Idaho Maryland Mine operated from 1862 until it shut down in 1956 because of the fixed price of gold at $35. USD per ounce and rising labor and supply costs. During its operation, the Idaho-Maryland Mine Property yielded 2.38 million ounces (74 million grams) of gold from 5,546,000 short tons or a recovered grade of 0.43 ounces of gold per short ton. The Idaho Maryland Mine was mined to a depth of 3,280-foot (1,000m) level. The Idaho Maryland Mine is reputed to be the second largest and second most productive underground gold mine in California history, a runner-up to the adjacent Empire Mine. From 2002 to 2012, Idaho Maryland Mining Corporation, a subsidiary of Emgold Mining Corp., under agreement with the mine owners, conducted studies, investigations, sampling, testing, etc. at the Idaho Maryland Mine and applied to California and local regulating agencies for permission to reopen the mine. These efforts produced a Draft Environmental Impact Report, Phase 1 Environmental Report, Technical Reports, Assays and numerous other studies and data. About two thirds of the way through the regulatory process, Emgold, citing equity market conditions and funding difficulties, withdrew its application to re-open the Idaho Maryland Mine. Additional information and reports available upon request. Listed for sale with Charles Brock, CA BRE Lic # 00328328, Coldwell Banker Grass Roots Realty, Grass Valley, CA 95945. Information deemed reliable but not guaranteed, all representations are approximate, and individual verification is recommended.